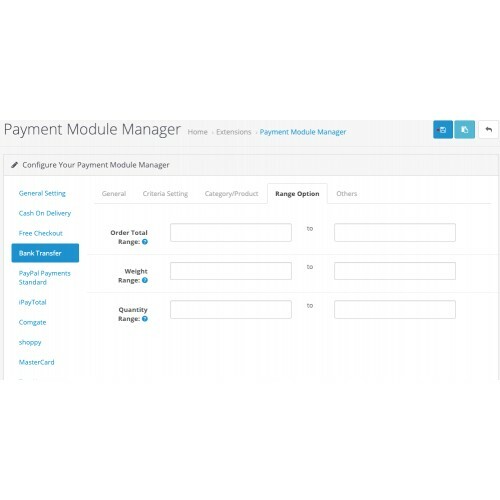 Payment Module Manager is a module that will allow you to filter, restrict, and control OpenCart payment methods according to various criteria. 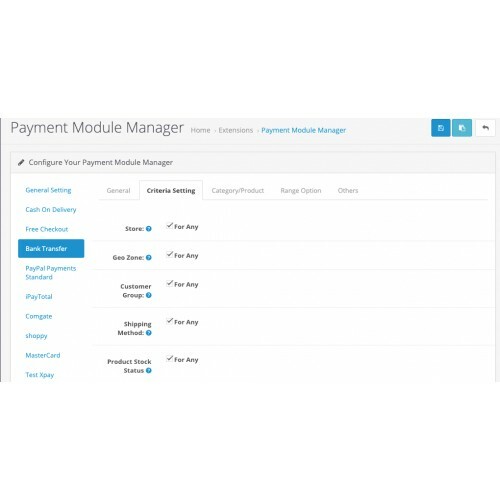 It will allow you to hide/show a particular payment method in the checkout step according to criteria set in the module setting. 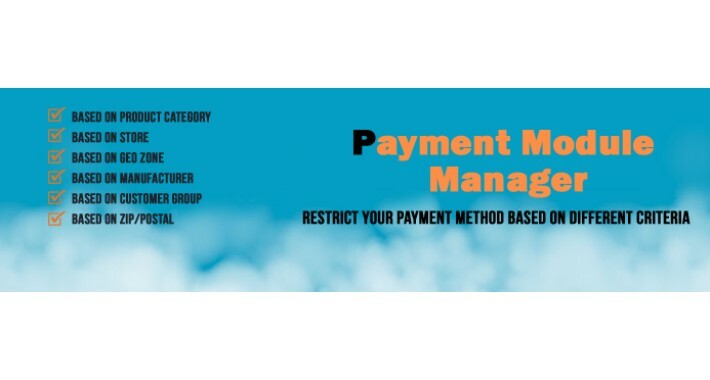 This module is a life saver. Money well spent!! 5 stars!!! 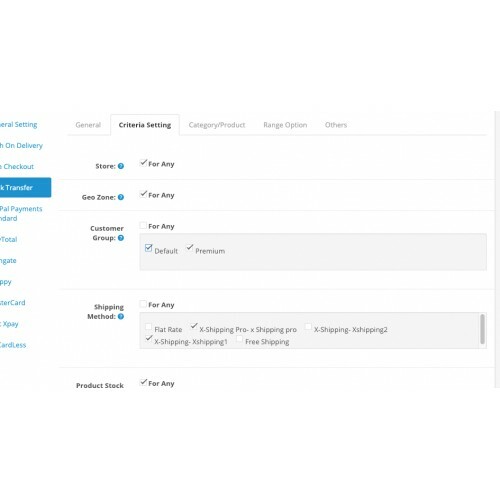 OC 1.5.6 P.S i would like to commend on the professionalism of the dev OPENCARTMART. 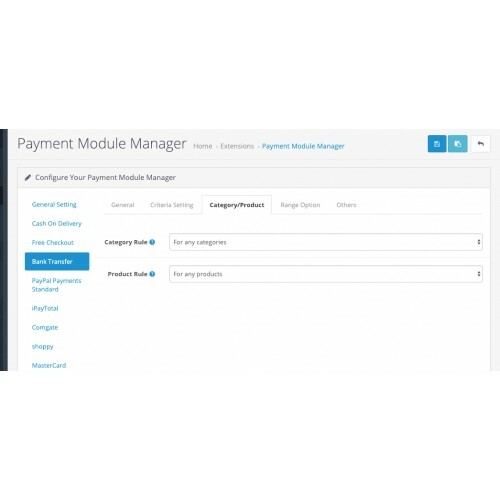 initially i was getting issues having the extension to work with my checkout module, i emailed him and he fixed it right away! Amazing customer support! GOOD JOB!! !